I remain continually confused by muffins. I mean, what is the optimum size for the perfect muffin? (We are not talking about muff so you can stop sniggering at the back). We have some massively opposing view points – the Americans prefer theirs large, the Brits are slightly more sedate with their sizes and there are those with a fetish for all things miniature. I’m making these for the guys at work as they have all been massively overworked lately and we’ve got a big project to deliver next week. 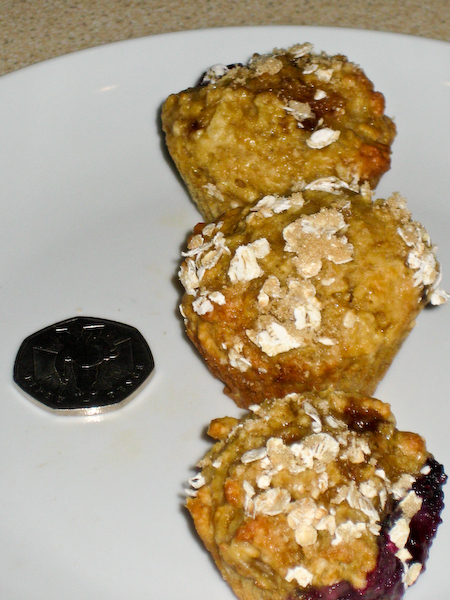 I’m convinced that some fruity muffins will help fuel them rather than having them live on coffee and supernoodles. So I decided to try a little bit of both. I couldn’t bring myself to make absolutely enormous ones but went with a medium sized version and some mini versions. I’ve got to say, they are both absolutely delicious. Even though, I’d feel a little short changed if I just had one mini muffin. Three is the optimum amount I feel. They are pretty low in fat – due to using mashed banana and buttermilk – and there isn’t extreme amounts of sugar in them. They are light and fluffy and really quite tasty! Double line the muffin cases otherwise they go out of shape. Cook the mixture immediately, don’t leave it to stand otherwise they won’t rise. 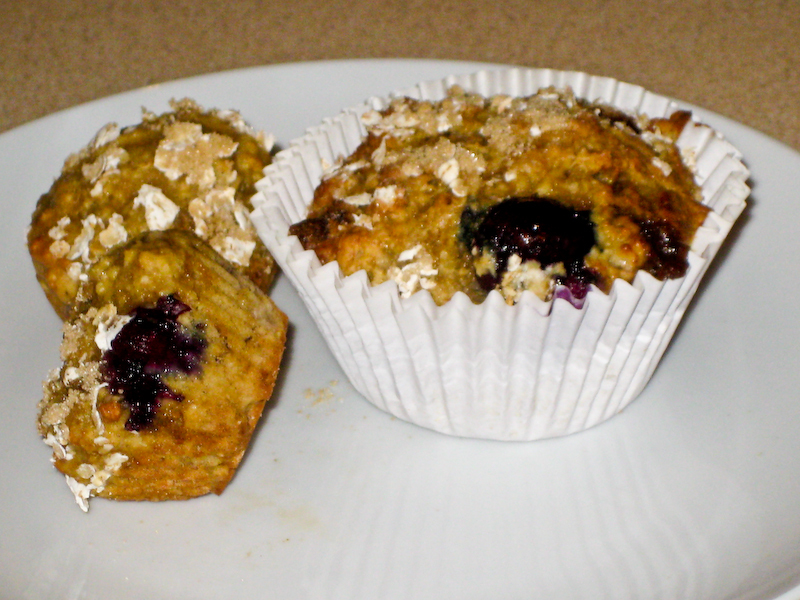 I’ve been searching for the best muffins and this one is definately up there. Thanks a lot for sharing the recipe.